Russ Chaplin's Driving Instructor Blog: Driving Lessons Nottingham - Happy New Year! Well done to the class of 2013! Last year was a busy year for me and had a lot of success stories. Many of my pupils passed their driving test. 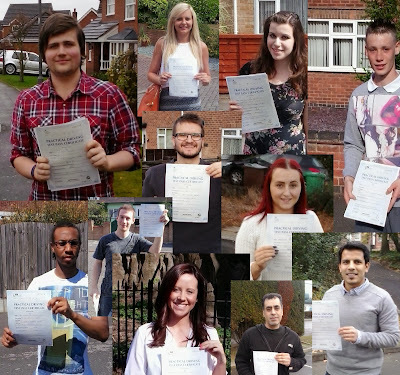 Many of them passed first time and a couple of them managed to a perfect pass. No faults at all! Jasmine Freeman, Tomas Walker, Samantha England, Adrien Haddab, Robin Lowe, Tom Burnham, Greg Hall, Hossein Mowahedi, Nazia Parvaiz and many more. Make 2014 the year you get your driving licence. Many of my students have gone on to start their chosen careers or studies and you can do the same as a qualified driver. Call me on 07932 458838 and get started today!